Last weekend (labor day 2017) I attended San Francisco Comic Con 2017. Now I haven't been to a con in over a decade. The deciding factor for me to attend was the fact that Peter Capaldi was going to be there. 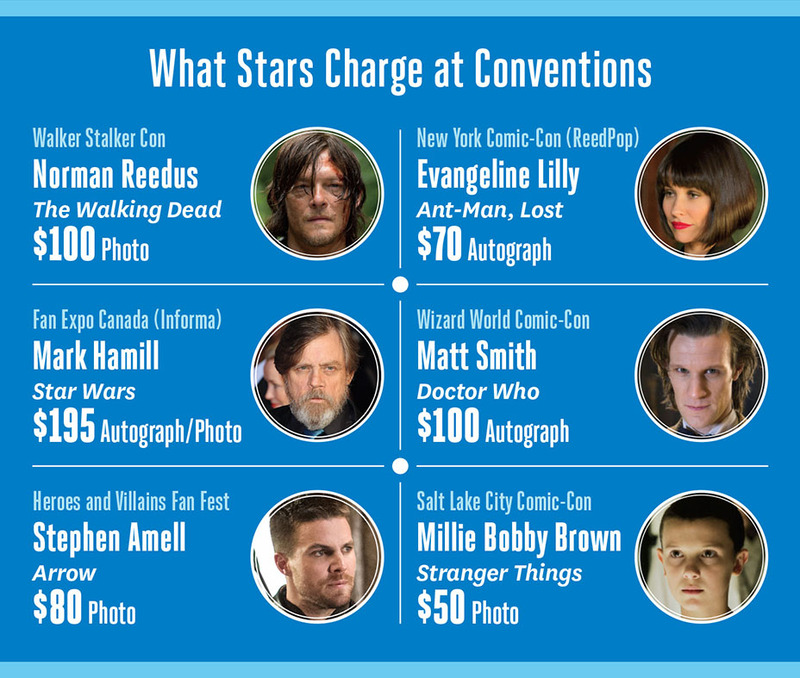 Since becoming a Doctor Who fan, I had thought about flying to another city to attend a con with a famous Doctor. And now here would be the latest Doctor, in my own backyard, no traveling required! I told my wife she was saving at least $1000 this way, but she did not buy that for a second. I managed to Moscone West around 9:30. I got my pre-paid wristband (courtesy of EventBrite) quickly but we all had to line up on the second floor before going through the 1st floor doorways! Up and down the escalator. Members of the 501st Legion walked by and entertained us while waiting. Once through the gate I made a bee-line for the photo op tickets and got one for the first session. $100 a pop, you might think it was outrageous but I thought it was a good deal not having to pay for airline and hotel. After the photo op ticket purchase I went to the autograph line for Capaldi just before 10:30. Another $100. 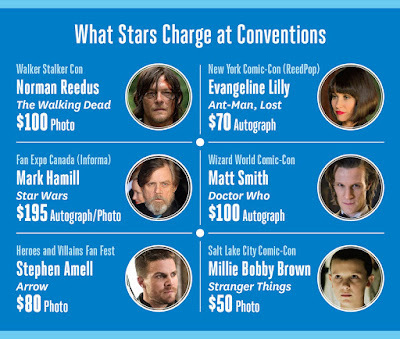 From what I read elsewhere, Doctor Who stars like Capaldi, Smith and Tennant can make $200-300K per con appearance. I can believe it by how the fans lined up. 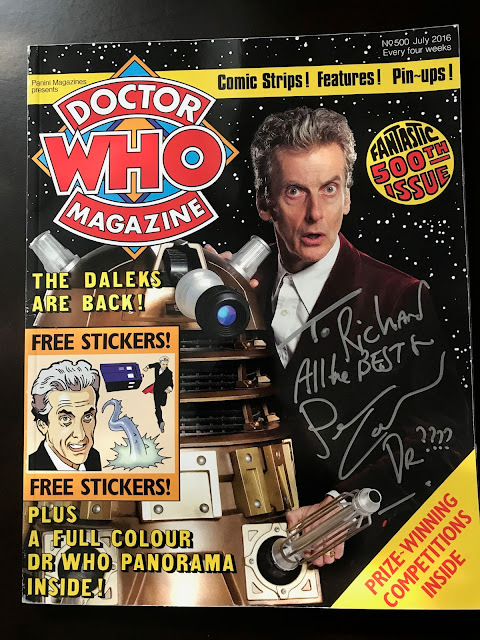 I waited for about an hour before getting Peter (now we are on a first name basis) to sign my copy of Doctor Who Magazine 500. I think his daughter was with him ("she's my companion") helping to sort out where to sign the various things brought to him. 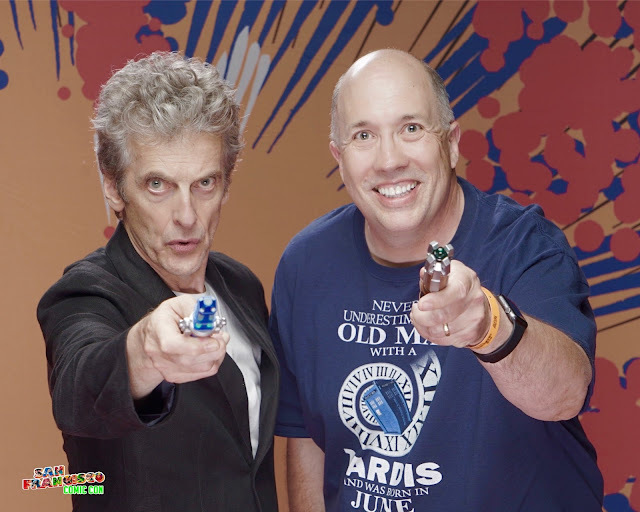 Capaldi is very polite and charming in person, a real gentleman. I didn't have much to ask but he did comment on my t-shirt. Next there was a panel discussion, where a young girl asked if we would possibly ever see Clara again! Capaldi hesitated for a few moments before answering in a way that would not break this little girl's heart. Then he finally answered, one day you may see her again. A possible spoiler for his final episode in December 2017? He also answered a couple of questions that were similar in nature. Would he play the Doctor again for Big Finish audio? Would he play the Doctor again in a multi-Doctor story? Both answers were the same: Capaldi felt it was time to move on from Doctor Who after his regeneration in the Christmas Special 2017. He didn't shut down the idea of playing the Doctor ever again - but indicated it would be several years before such a thing might happen. This might be done to give Jodie more time to breathe as the new Doctor, but it could also be done if Peter takes on a new role with a new show by Armando Iannucci; he might want to distance himself completely from the good Doctor. I started wondering if that also meant Capaldi would stop doing convention appearances after his next job begins. We will have to see. At 3:20 pm the photo op started; we were told to be there 15 minutes before. I think I got there about 3:05 and it was already a very long line! But it was a lot of fun to wait in line with the other fans. There were a couple of young guys dressed up as Capaldi, one in the black jacket with red trim, the other in the red velvety jacket. Another one was dressed up in a very unique costume, a cross between Doctor Who and Capt Jack Sparrow. The line moved slowly but finally we got to see Peter and everything went quick. I brought 2 sonic screwdriver's, the new blue one for the Twelfth Doctor and the other one for the Eleventh. Naturally, Peter held the one unique to his character. I could not stop smiling. Peter was again very polite, welcoming, and he was so great with the young children in the family ahead of us. I spent the rest of the con getting comics signed by Neal Adams, Michael Golden, Bill Sienkiewicz, Ryan Sook, etc. They were all great people to chat with. 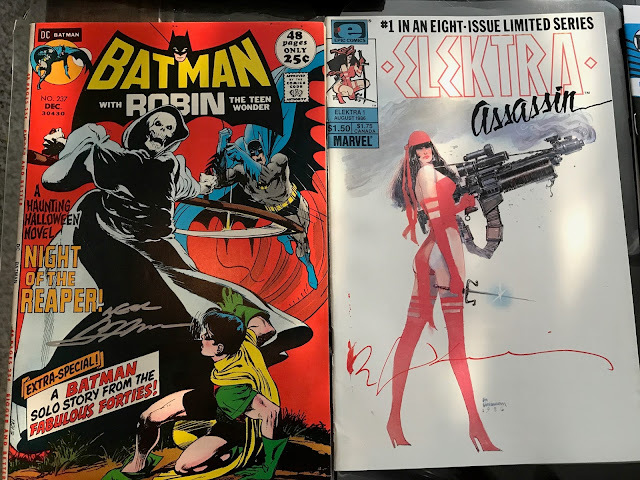 Neal Adams could talk for hours about the comics industry and I would be enraptured. I learned a couple days later that Peter Capaldi did walk the floor at some point and met both Sienkiewicz and Golden, courtesy of artist Mike Perkins who had a table there. It was a great con to attend and worth it to come out of my hermit shell. My only complaint was that there appeared to be no panels with Adams / Sienkiewicz / etc on their careers. The panels seemed to be about cosplay, writing, creating comics, etc. The two biggest panels must have been for Capaldi and Bruce Timm. Will I attend another con again? I suppose that would be determined by Matt Smith or David Tennant appearing somewhere close by home. Otherwise, this may be the last one ever in my life. Nuff Said!